San Diego's own Claudia Sandoval, who won the 6th season of Fox's primetime cooking competition MasterChef, will participate as a judge on Telemundo's upcoming MasterChef Latino series. 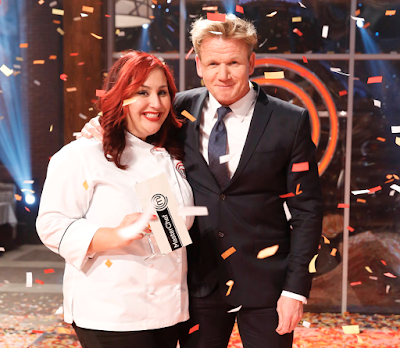 Born and raised in San Diego's National City to a family hailing from Mazatlán, Sinaloa, Mexico, Claudia Sandoval rose to national stardom when she beat out 21 other aspiring home cooks to become the Season 6 winner of Gordon Ramsay's MasterChef. Prior to her appearance on Fox Network's culinary competition and to winning the $250,000 grand prize, the fiery Latina was a social worker and online marketer in America's Finest City. "I am so excited to be working with Telemundo and to be on the other side helping someone else’s dream become a reality," commented MasterChef Claudia Sandoval. "Dreams do come true, and I’m an example of that! I’m also excited that we get to see the diversity of Latinos through MasterChef Latino as there are so many countries represented through the contestants. People are going to love seeing all of the culture-rich foods, desserts and surprises around every corner and every challenge and pressure test!" Joining Chef Claudia as judges on the first season of MasterChef Latino, which has recently kicked off production in Miami, are famed Mexican Chef Benito Molina of Baja's Manzanilla and Italian-born Chef Ennio Carota, who previously was a judge in three seasons of MasterChef and MasterChef Junior in Chile. The competition will be hosted by Mexican TV star, model and singer Aracely Arámbula. Like the eight seasons of the U.S. version of the program, the competition will bring unknown cooking amateurs to compete in front of the three experienced culinary judges with weekly elimination challenges. Get more information on Chef Claudia Sandoval by visiting her website, chefclaudiascocina.com, and cook up some of her recipe's at home with her first cookbook, Claudia’s Cocina: A Taste of Mexico.